An afternoon filled with Japanese food and drink is a great way to spend a day in LA. 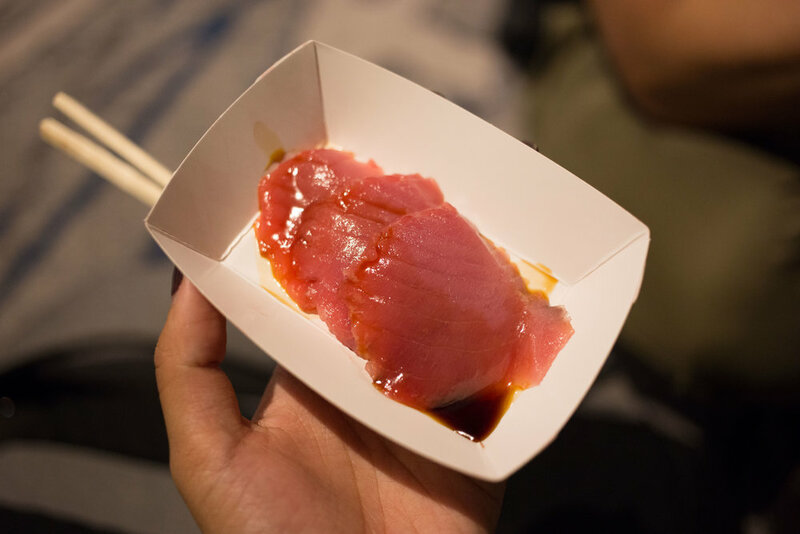 Held in the grand ballroom at the Intercontinental Hotel in downtown Los Angeles, the Japanese Food Festival should definitely be on your foodie bucket list. It cost $50 for admission and you get 3 hours of unlimited tastings. To make your food adventure more efficient, I suggest going with a friend! Some lines are longer than others because it takes time to prepare the dish. While my boyfriend waited in line, I went out a got some samples to bring back and enjoy while queuing up. Pro tip is to try to eat all the food first then make your rounds for drinks. 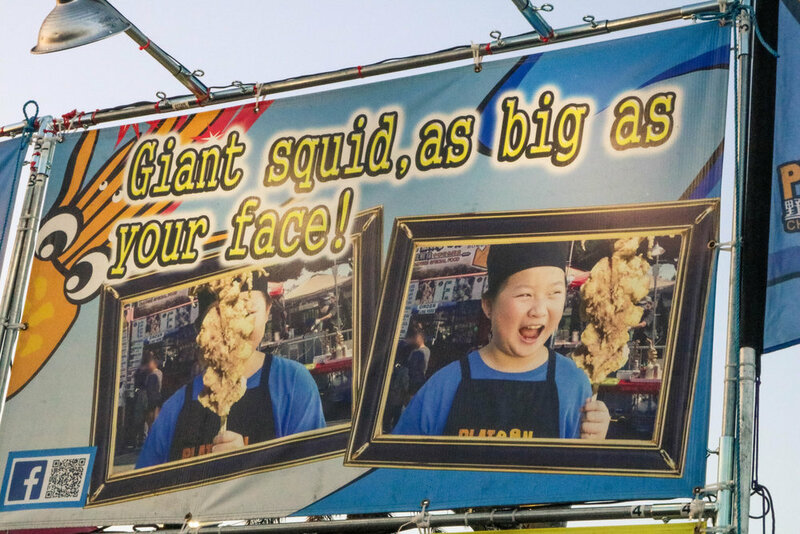 This festival is a great way to learn about Japanese food and culture without having to go to Japan. Throughout the afternoon, there are various demonstrations happening on the main stage. When we first walked in there was a drum performance, called taiko. After that, they showed how to properly fillet tuna, which would then be used for the sashimi station! The biggest spectacle was the preparation of the mega sushi roll. With multiple chefs working together, the end result was a giant roll that could feed a village! After that, they had traditional Japanese dances and tutorials on how to create cute characters out of rice and seaweed. There were so many types of food to try! One of my favorites was the fresh cut sashimi, they used the fish from the filleting demonstration. We first stopped at the okonomiyaki station, a savory pancake grilled right in front of you. Then right after that, we tried some yakisoba noodles and takoyaki, a ball-shaped snack with diced octopus inside. We also got to try hand rolls prepared by the up and coming chefs from the Sushi Chef Institute. 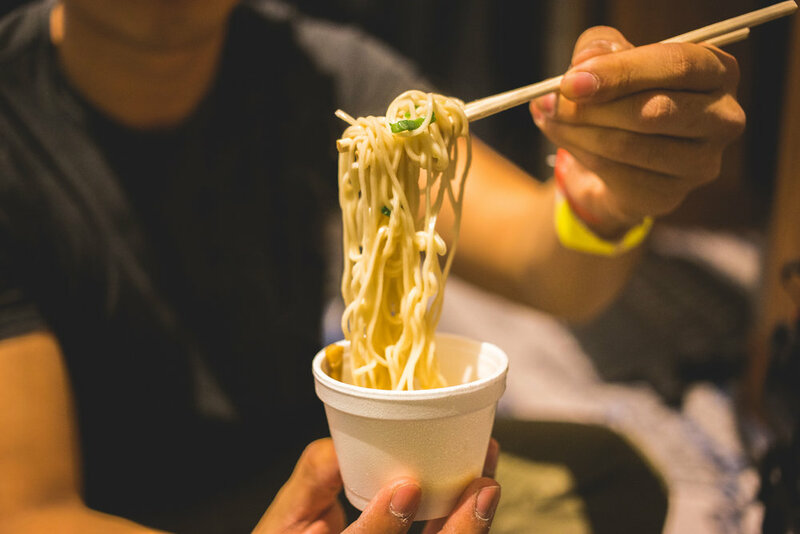 There were also vendors that were serving up some ramen and karaage, which is Japanese fried chicken. We ended the afternoon with some yummy dessert samples, red bean and matcha ice cream and aloe yogurt. While eating all that good food, we got to taste many different types of sake and beer! You can definitely get your money's worth by drinking samples. 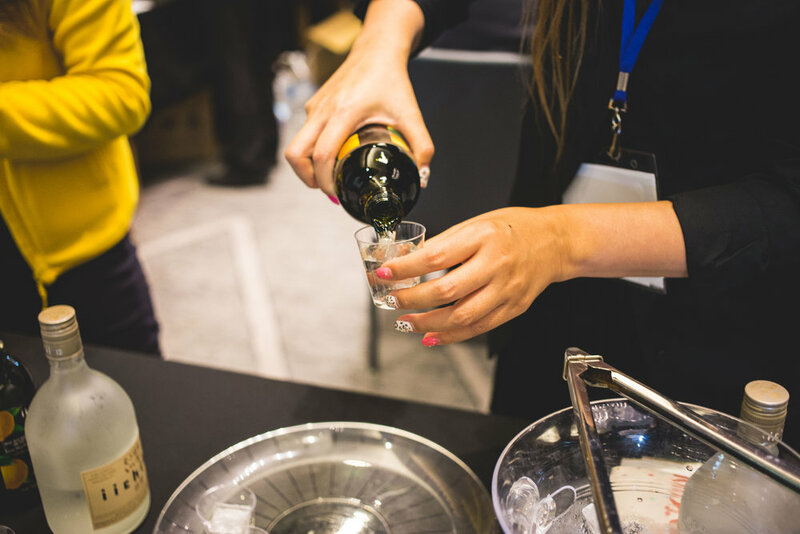 I didn’t know much about sake, so when I tasted the various kinds, like filters, unfiltered, or premium, I was sure to ask the brand reps to explain the differences to me. They also told us what kind of food pairs well with each sake! There were also two beer vendors, Orion and Kirin, they kept the beer flowing. We sipped on our beverages while waiting in the food lines. If alcohol isn't your thing, they also had bottles of yakult, ramune, and a whole line of juices from Aloha Maid. 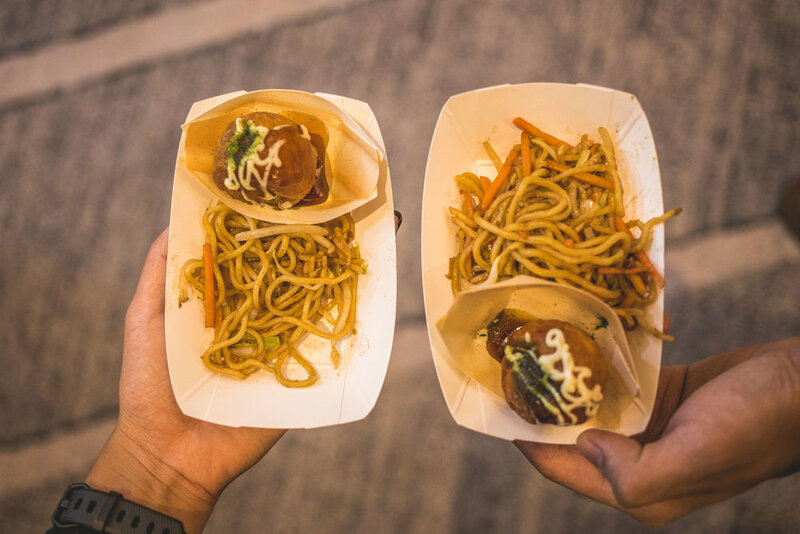 When you attend 626 Night Market, you better come hungry! Set in Arcadia at the Santa Anita Race Track, hundreds of vendors line the parking lot, serving up innovative food and selling unique merchandise. There’s something for everyone, but food is the main attraction. 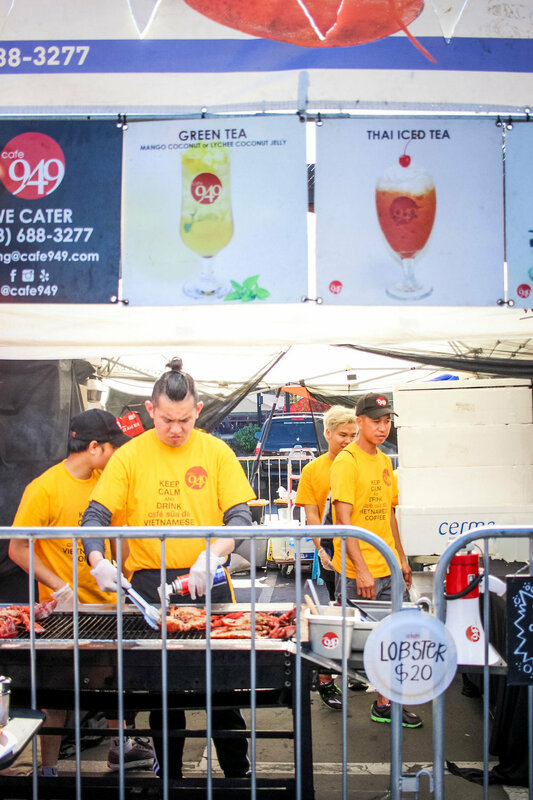 The endless aisles of stalls and food trucks will take you into a foodie wonderland. Once you get full, they have a marketplace where you can buy numerous things, like original art and kawaii merch. Throughout the night they have live entertainment and DJs spinning so you can dance and burn off all those calories! 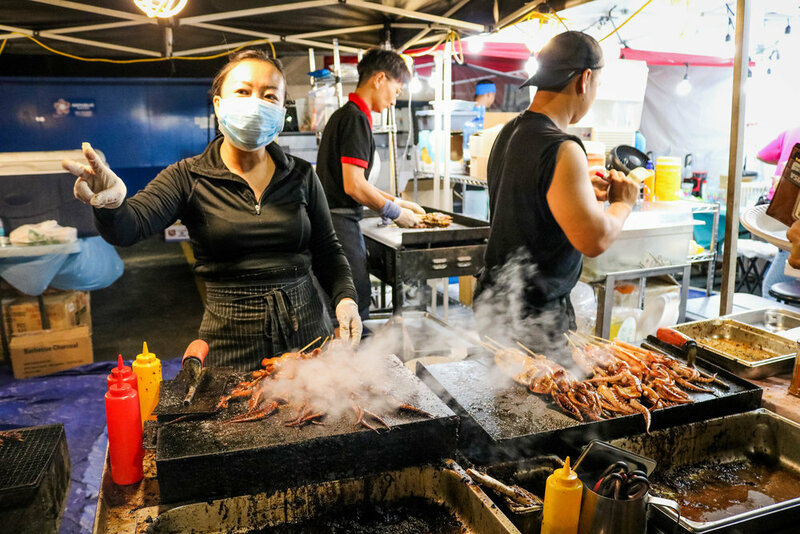 We definitely lost track of time eating our way through the night market, next thing we knew it was closing time and our tummies were full and happy. Flavour Fusions - Inspired by Thailand bucket drinks, Flavour Fusions puts a spin on craft sodas. 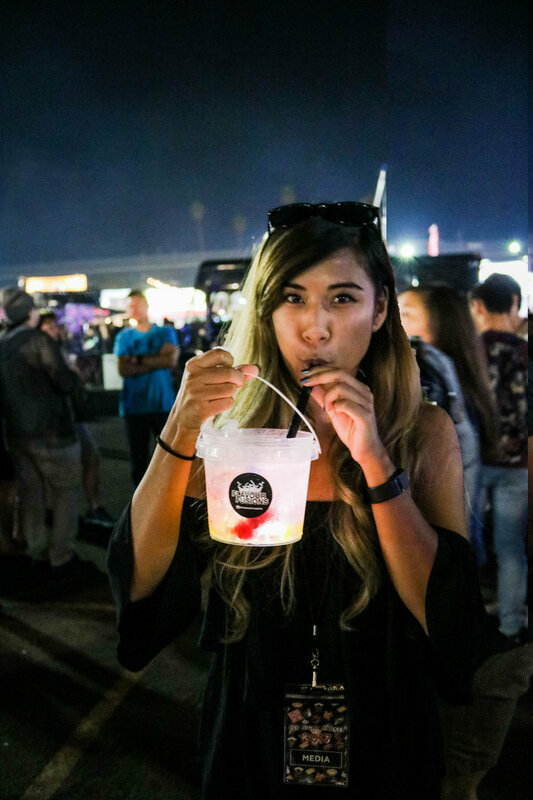 Served in a bucket with a built in LED light (with different modes), you’ll shine through the night market while sipping on some yummy drinks. You get to keep the bucket too! We got the fresh lychee and wild strawberry sodas which were topped with rainbow jelly, fresh fruit and jello shot syringes! A+ Tea House - Made with real fruit and absolutely no powders and syrups, A+ Tea House is a refreshing choice of drink. We got to try the strawberry mint bubble, strawberry americana, and watermelon lychee green tea. They layer each flavor so you can take pretty photos, make sure you mix it up before you drink! Paella Paella 2017 - Seafood lovers, you have to try this vendor out. If you want a cooking show, they have a huge pan filled with yummy paella. We got to try the seafood bowl which included lobster, shrimp, squid, octopus, mussels and of course rice. Each spoonful was a different experience, I loved the variety of seafood with each bite! 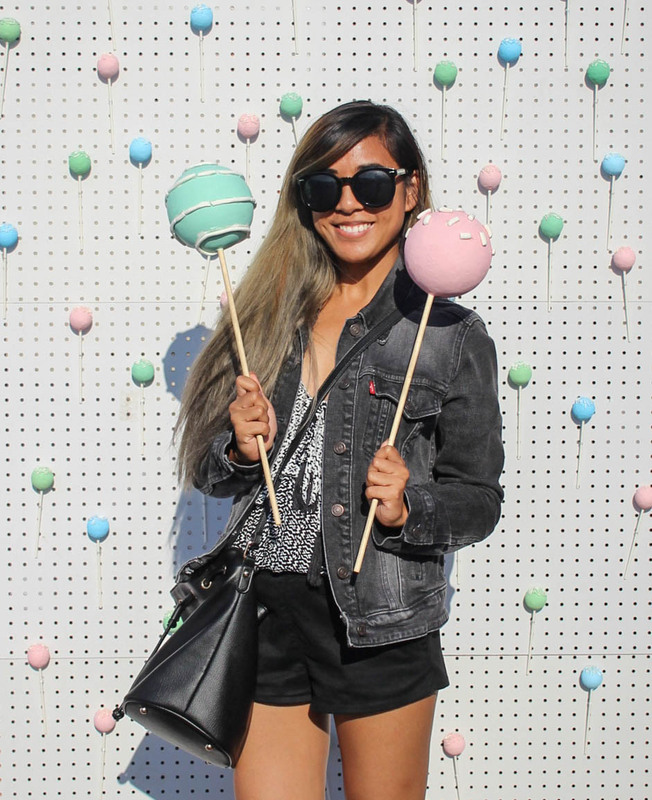 Them Balls - Them Balls was such a creative new thing to try at the 626 Night Market! They specialize in meatballs but they bring in flavors and tastes from different cultures. We had the B-Boi Q, the Banh Mi Balls, and the Side Chick. The B-Boi Q was the “BBQ” topped off with amazing brisket and some really delicious onion rings! The Banh Mi balls brought the Vietnamese banh mi flavors to meatballs and was refreshing. The Side Chick was your classic “fried chicken and waffles” style dish, but with meatballs instead of fried chicken. All three flavors took me on a culinary adventure around the world and it was a definite must try, especially if you are a meat lover! 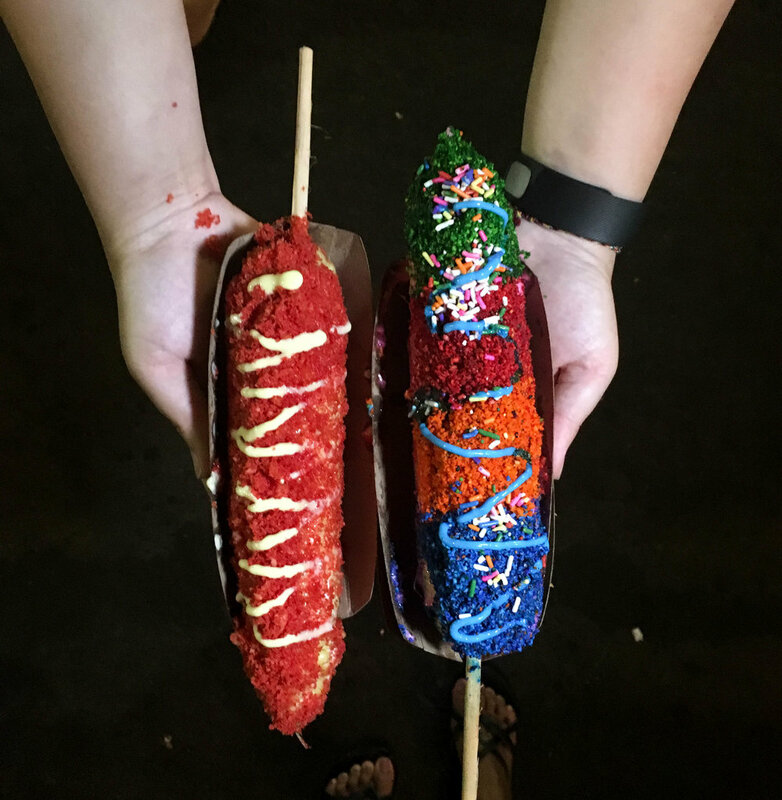 Mason’s Den - Taking street corn to the next level, Mason’s Den created crazy new elote flavors. First we had the Hot Cheetos elote, which was covered in mayo and crushed hot cheetos with a drizzle of more mayo on top. This had the perfect amount of heat! Next we had something magical, the unicorn elote! Painted with different colors of mayo and cheese, this rainbow corn is perfect for instagramers. Yellow Business - Aesthetic ice cream alert! Yellow Business creates super cute desserts out of egg waffles and various toppings. They have a signature puffle waffle style that makes their ice cream so unique. The Unicorn had a rainbow waffle, strawberry ice cream, and topped with marshmallows, mochi, sprinkles, sour straws, and a bugle chip for the horn. The Charcoal had a waffle made with activated charcoal powder, cookies and cream ice cream, and was topped off with fresh berries and powdered sugar. Chick n’ Skin - We all know what pork rinds are but have you ever had FRIED CHICKEN SKIN? 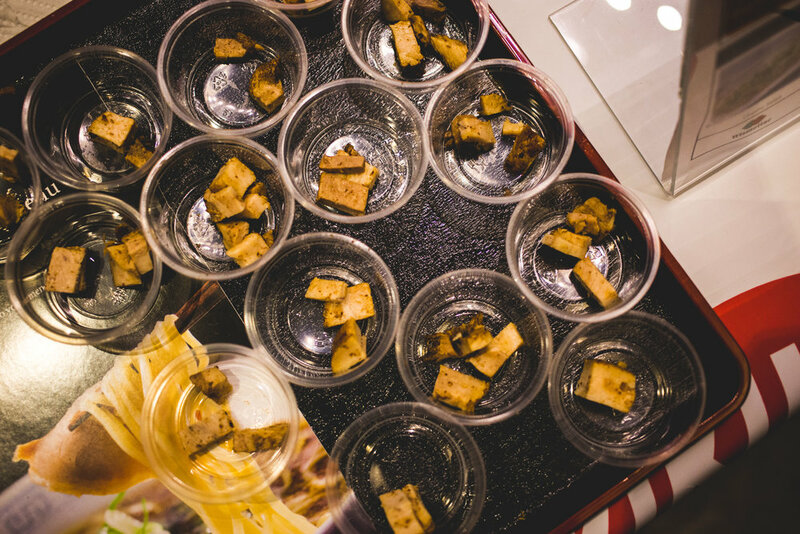 Chick n’ Skin revolutionized snacking with their flavored deep fried chicken skin. The skin is fried a total of THREE TIMES for maximum crispiness. I love fried food as much as the next person but sometimes you want something different other than various forms of loaded fries. My favorite item from Chick n’ Skin is their nachos. You got your nacho cheese, jalapenos, and sour cream. The texture and flavors brings something awesome and new to your taste buds! Friedays - What happens when you combine your two loves, pizza and fries? Friedays created something genius, PIZZA FRIES! A pan full of perfect french fries with melted cheese and pepperoni slices on top. We also had crispy tots with chicken and sriracha mayo drizzle. DIdn’t know something so simple can taste so good! Anchoi - Anchoi revolutionizes Vietnamese food in ways you would have never imagined! We tried their new item, where they brought something new to the table by bringing in the flavors of pho noodle soup and putting it into a banh mi sandwich. The sandwich had beef, bean sprouts, and parsley. Rather than having the typical “banh mi” fixin’s, the sandwich was modeled after a French dip, but instead of was a pho broth dip! I love pho noodle soup so it was really cool to have it in sandwich form. This is only one of Anchoi’s culinary creations. You definitely cannot go wrong with any of their items! Deeya - South Pacific island inspired food, Deeya makes your taste buds go on a vacation! Here we had the So’mo fries. A mountain of seasoned fries topped with bacon, green onions, special deeya sauce and melted cotija cheese. It’s the perfect plate to share with friends… or eat all yourself. Ice Cream Garden LA - Rainbow grilled cheese and potted ice cream, what a magical combination! They cut their sandwiches so you can pull it apart and create a perfect rainbow cheese pull. If you’re also craving something sweet, they have various ice cream flavors served in a pot! We had the dirt cup, which was crumbled oreo with gummy worms on top and the Rainbow cup which was strawberry shortcake, and teddy grahams. Crescendo Ice Cream - Here we got to try their Ube and Oreo milkshakes! I have a major sweet tooth, so these were perfect for me. When you buy the milkshake, you get to keep the mason jar mug! The Ube shake had fruity pebbles on the rim, a heart-shaped ube loaf, wafer stick, marshmallow, and topped with whipped cream and sprinkles! The Oreo Shake had chocolate drizzle lining the mug, with the same fruity pebble rim, topped with waffle cone, an oreo, M&M’s and a sprinkle coated marshmallow. 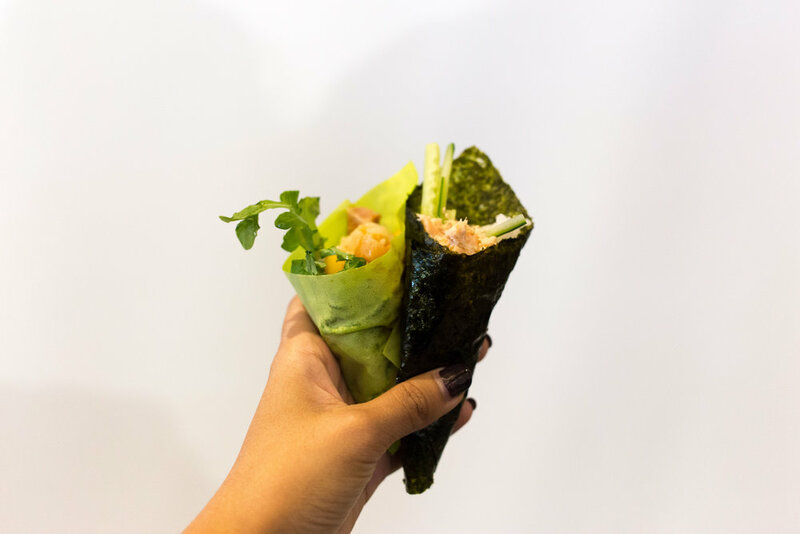 Norigami Tacos - Sushi in taco form, no need to wait for taco tuesday! We got to try their top three specials! The Maui Wowie, Hawaiian poke with wasabi, The Firecracker, spicy tuna and crispy shrimp, and The Mr Krabs, crispy soft shell crab with citrus ponzu sauce. The shell of the taco is made of crispy seaweed and each noritaco is topped with cucumbers, imitation crab and micro greens. 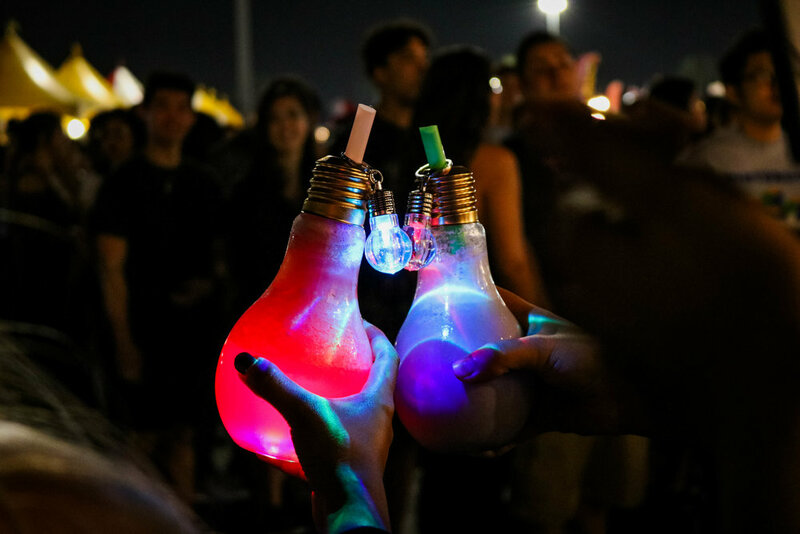 Bulba 626 - Lightbulb Drinks are a classic Night Market find. We got to try the Taro and Watermelon slush. You get to keep the high-quality glass light bulb bottle too! It even comes with a little LED lightbulb keyring. 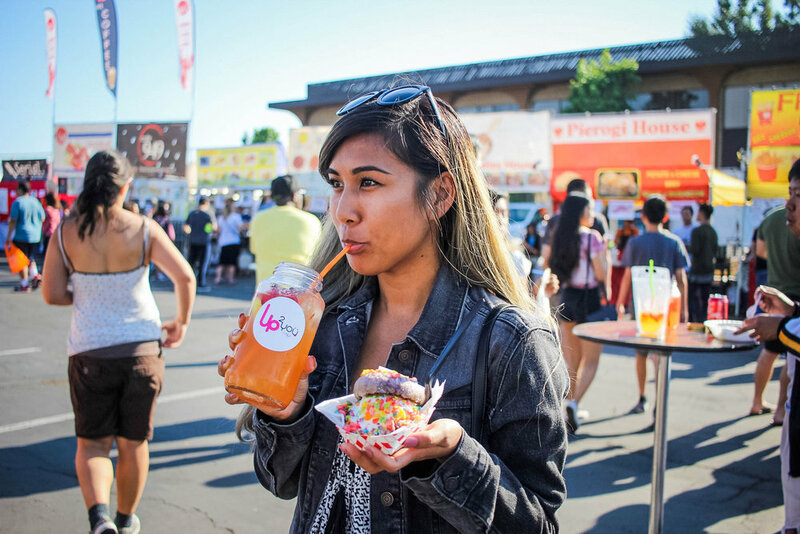 These drinks were super refreshing and a must try when you visit 626 or OC! 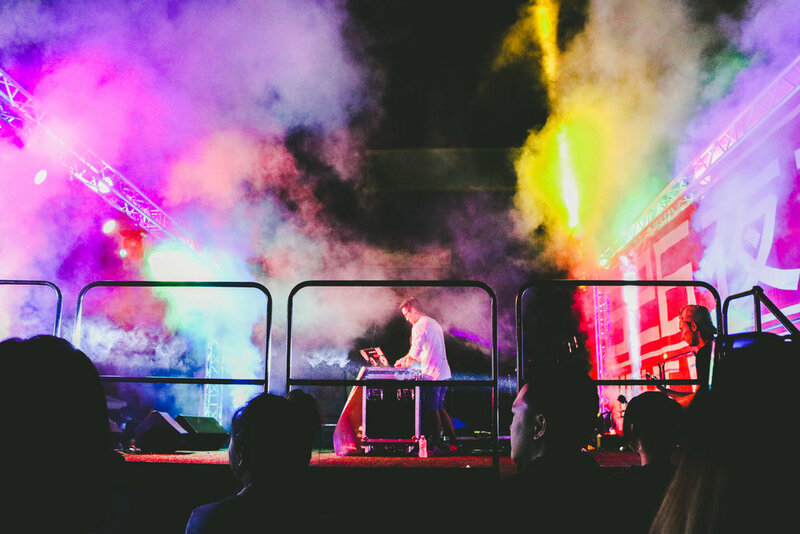 This time we go even BIGGER at 626 Night Market! Our crew is bigger, the venue is bigger, and the portions are bigger! 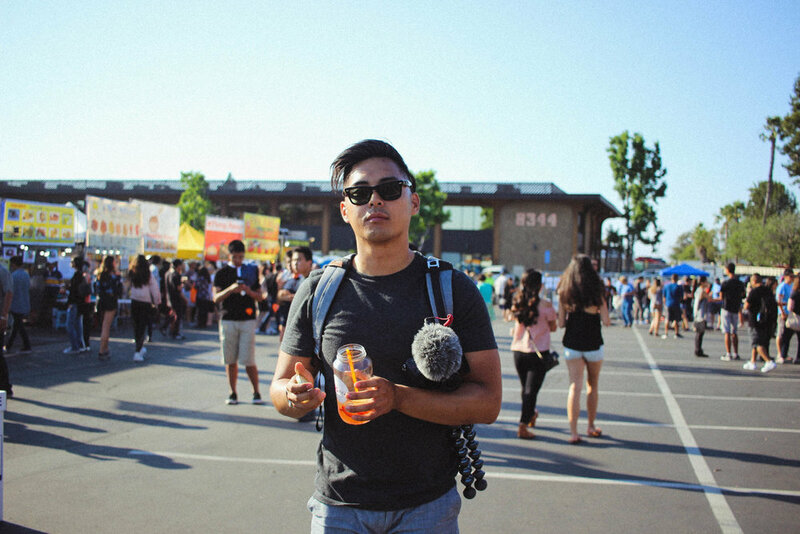 Please watch and follow us on our foodie adventure in the biggest night market in socal! Watch to see me look like a complete idiot in front of Forrest Wheeler from Fresh Off the Boat! 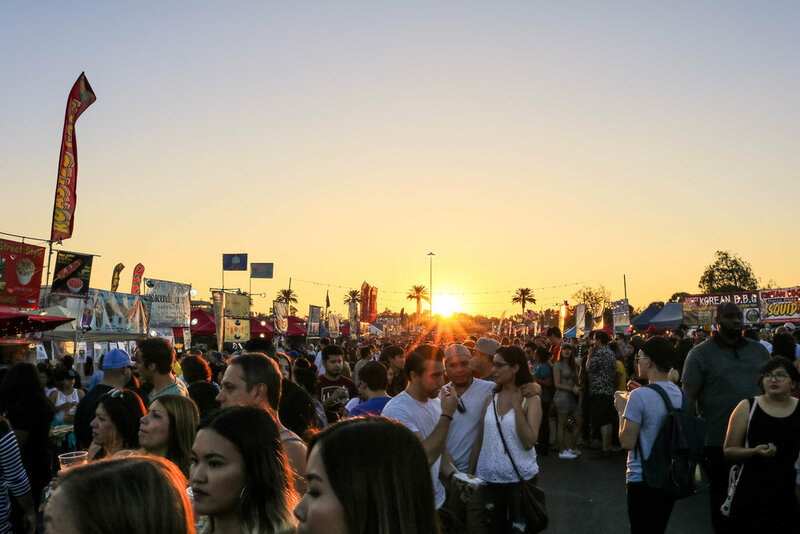 Emerging as one of the yummiest foodie events in San Diego, SD Night Market is something you have to cross off your summer bucket list every year! 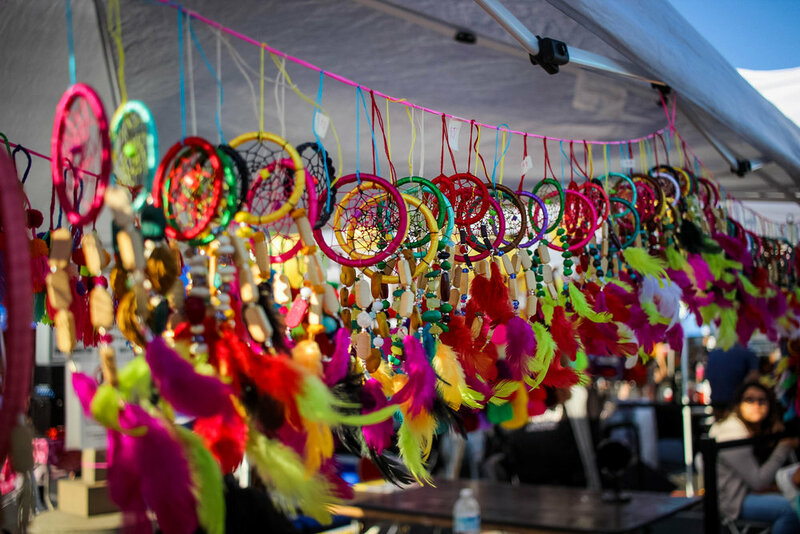 Two full days of food, entertainment, and shopping, this is the perfect weekend activity for everyone. The event is set in the Convoy District, the heart of Asian food and shopping in San Diego. We arrive right when it opened, it’ll be hot but then you don’t have to wait in line for the shuttle, entrance, and vendors. This year they had offsite parking at a structure which was about 7 minutes away. Free shuttle service to and from the event is included in the parking cost. The shuttle was a top line coach bus! Parking was super easy this year, I recommend coming a little early. You can also buy your tickets on Eventbrite before hand so you skip the GA ticket purchase line and go straight ahead into the event. Admission was only $3 and you have to pay for any food and drink you get from the vendors. Other than food and drink vendors, they had a stacked entertainment schedule, varying from cultural dances, to singers and dancers. If you get full you can head over to the stage and watch some performances while digesting! Café 949 – Always a crowd favorite! The grill fresh lobsters right in front of you! We got the grilled lobster, which they crack in half so it’s easy to pick the meat. We also got to try the Lobster Baco and Popping Fish Balls on a Stick. To wash it all down we got the Matcha Green Tea with Sea Salt Cream. Momo Bing – Everyone was lining up to try these Chinese street crepes. They had two styles to choose from, Beijing and Shanghai. Here they cook the crepes right in front of you on large circular pans. We got to try the Beijing Street Crepe with bacon which was cooked with a variety of ingredients like egg, sesame seed, green onion, cilantro, wonton crackers, lettuce and their special sauce. To pack in the flavor, we drizzled BBQ sauce on top! The crepe tasted amazing and was super filling. 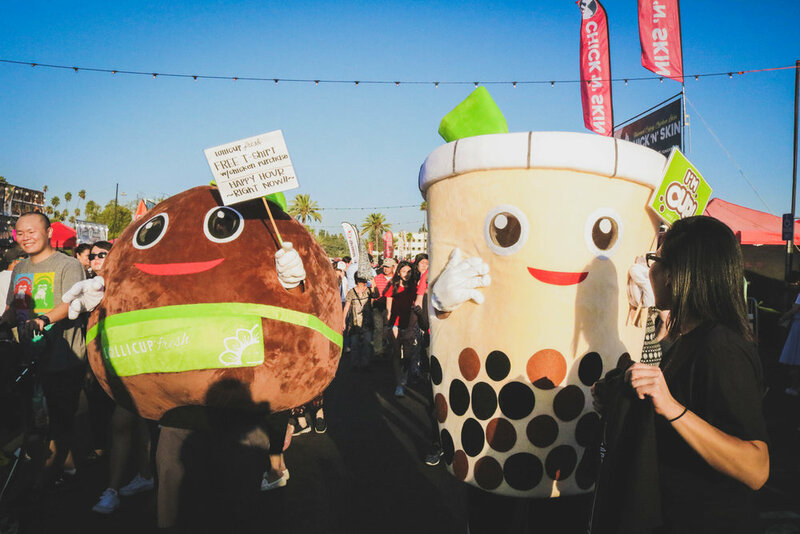 Up2You Café – For those with a sweet tooth, you have to check out Up2You Café. They had a variety of desserts that are photogenic and taste great too. My favorite was the Blueberry Donut Ice Cream Sandwich topped with fruity pebbles. To wash it down we had their Strawberry Mango Fizz in their take home mason jar! The Sweet Dandelion – Homemade desserts always taste the best. We got to try the cutest cake pops from The Sweet Dandelion! The cake inside is perfect and comes in all the classic flavors, on the outside, they create super cute designs. 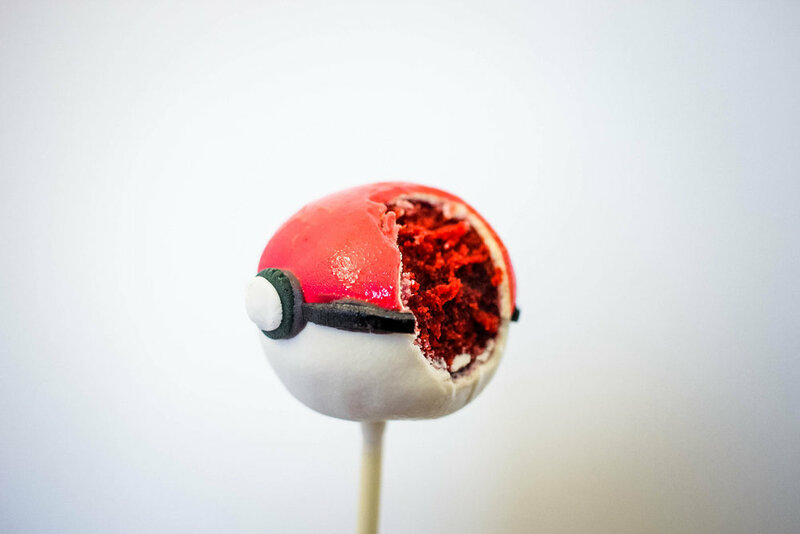 My favorite was the Red Velvet Pokeball! They were selling Matcha, Vanilla Donuts, Mint Chocolate Chip, and Strawberry! You can buy them on Etsy if you missed out on the night market, they make such a cute gift… for yourself!